CLEVELAND, May 25, 2018 /3BL Media/ - Matt Wilhelm is the newest addition to the iCause advisory board. Matt played college football for Ohio State University where he earned All-American honors. He was a linebacker in the National Football League (NFL) for eight seasons during the early 2000s and was drafted by the San Diego Chargers in the fourth round of the 2003 NFL Draft. 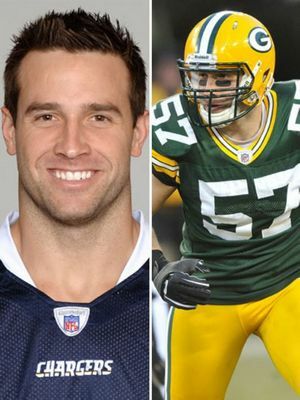 He also played for the San Francisco 49ers and Green Bay Packers and was a member of the Packers' Super Bowl XLV championship team. Matt is currently a football analyst and show host for WKNR AM 850 and WEWS-TV 5 in Cleveland. “When I first looked at iCause I could see the many benefits of the platform. The more I learned about iCause, the more I wanted to be a part of it to help nonprofits and support trending causes. People love to give back and this program makes it easy for everyone!” Matt states. iCause, a Public Benefit Corporation, is committed to nonprofit sustainability and has been actively seeking advisory board members in different arenas, including professional sports. “It’s been exciting to see our advisory board grow with the likes of Maressa Williams, Anthony Avent and now Matt Wilhelm. We are excited to work with Matt on professional sports initiatives as he is very passionate in everything he does....” CEO Kevin McAhren stated. iCause is a global marketplace for cause - the first of its kind. The focus of iCause is to make an impact and build communities. iCause connects millions of people to millions of cause events anywhere, for free.